Windows – Never buy a window based on which one is cheapest. You want windows that look good, and, as we recommend, you want energy-efficient windows. You may be eligible for a Federal Tax Credit for Energy Efficiency of up to $1500 when you purchase Energy Star windows. Quality and Energy Efficiency often go hand in hand these days – remodeling or repairing is your chance to go green! 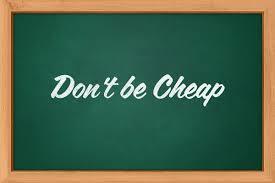 It may not be the cheapest option, but the benefits in efficiency and property value more than make up for the cost. Want more tips on remodeling or repairing your home? Subscribe to this blog. Once or twice a week you’ll get information like this automatically sent to your email for free.